Read all about of our team of exceptionally talented and inspiring tutors, assessors and learner supporters, here. Esther has over twenty years experience working in the UK’s film and TV industries. Esther supports apprentices studying the Level 3 and Level 4 Business Administration programmes. Bernadette has been an Assessor on Creative Apprenticeships since 2010, bringing ￼over 30 years of experience as an arts professional and artist. Carl has been an Assessor on Digital and Creative Apprenticeships since 2011, bringing over 20 years of experience as a professional musician and music tutor working in the music and wider creative industries. Darren is a tutor on the Digital Marketing programme and has over 20 years' experience working in the creative sector. Daniel has over 10 years experience as an Assessor and Tutor in the Creative and Digital sector. 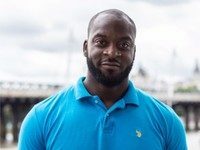 He specialises in Digital Marketing, Creative and Digital Media and Business Administration apprenticeship programmes. Rory is a trainer specialising in Business Administration a Levels 3 and 4.